WASHINGTON, D.C.—For thousands of students around the world, September marks the start of another chance to win history gold with the National History Day Contest. Students enter their projects in local level contests, with the top entries advancing to regional, state/affiliate, and finally, the National Contest in June 2018. Along the way, students compete for the gold medal in their category as well as honors, awards, and thousands of dollars in prizes and scholarships. Guided by an annual theme, students are encouraged to choose a topic that matches their personal interests. The 2018 theme is Conflict & Compromise in History. Students can create a documentary, exhibit, paper, performance or website as an individual or group. Creation of these projects requires creativity and hard work that helps students succeed in all academic subjects. An independent study in 2011 found that this project-based contest has proven benefits such as increased test scores, greater aptitude for reading comprehension, and analytical skills. It takes students out of the textbook and into historical research. The 2011 study found that students who participate in the National History Day Contest outperform their counterparts in all subject areas and on standardized tests. Participants also expressed greater confidence in research, communication, and analytical skills. More information on this study is available at nhd.org/why-nhd-works. To assist students and teachers throughout the year, National History Day® has developed a number of free resources. This book explains the National History Day Contest theme and offers instructional insight for teachers on how to best incorporate the 2018 contest theme in classroom materials as well as sample topics for students. The first step for any student is creating a project. This page guides students through the steps to create a National History Day Contest entry. Award-winning projects from previous contests are hosted on this page. It provides numerous examples of the hard work participants put into their projects. This resource helps students learn about each of the five categories and includes examples from previous contest winners. From lesson plans to workbooks this page hosts a multitude of resources for promoting history education in classrooms. 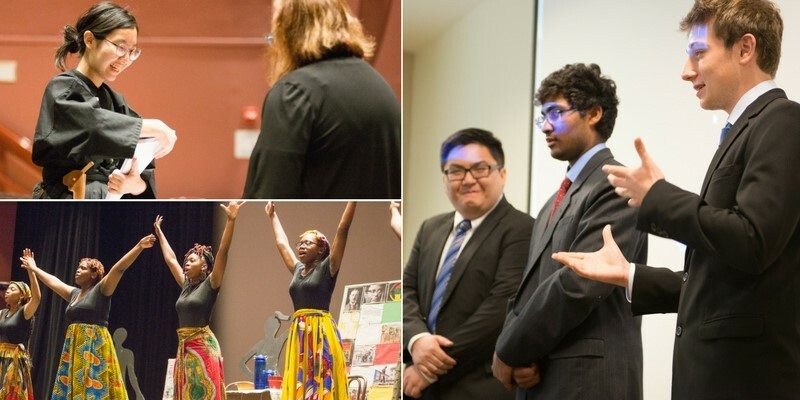 More than half a million students from all 50 states, the District of Columbia, American Samoa, Puerto Rico, Guam, and international schools in China, Korea, South Asia, and Central America will create projects for the National History Day Contest. Many of the local and state/affiliate contests allow public viewing of the projects and students are eager to talk about their research and findings. A full list of National History Day® affiliates can be found here: nhd.org/affiliates. The top two entries in every category will be invited to compete in the National History Day Contest at the University of Maryland, College Park in June 2018.